When you switch to a diet that is high in fresh fruit, veggies, nuts, and herbs, you may become a little more picky over what you buy. I certainly know that I have – so much so that I often spend as much as I would have done in my meat-eating days. A lot of the time, people think that vegetarianism, and other diets linked to vegetarianism, are a lot cheaper to maintain, but there comes a moment where you look at the plastic-wrapped veggies and green bananas, and you want something more. As I’ve argued in the past, buying local, organic produce is your best bet in terms of sustainability. First of all, you are supporting your local economy, and in some small way, protecting the environment by increasing demand for organic produce. This of course comes at a price – organic is usually more expensive, as farmers often have lower yields for crops that have not been chemically altered. A controversial opinion I hold is that food, notably fresh produce, is priced too cheaply – and we should be prepared to pay more for ethical and sustainable practices, no matter what the industry. According to the wisdom of Isabella Beeton, once fruit, vegetables, nuts, and herbs are picked, their vitamin content starts to drop rapidly. Even while refrigerated, their nutritional content will decline. Think about your supermarket produce – this has been picked in the field, transported in refrigerated trucks, left in the shop, and then you’ve brought it home to also refrigerate rather than eat straight away. That’s a long time! 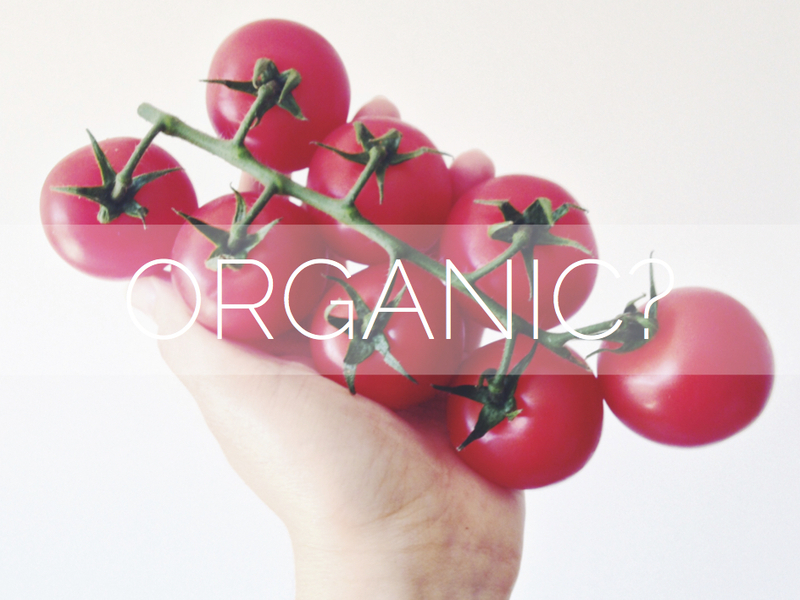 When buying organic produce, the chances are that the supplier is also a more direct source than supermarket chains. Farms and farmer’s markets are often more abundant in organic produce, and by reducing the time it has taken for your food to reach you, the higher the nutritional content too. Even in supermarkets, the majority of organic produce that I have seen has been grown in the UK. This reduction of time between picking to plating means less nutritional content has been lost. What we can do to consciously improve the nutritional content of our produce further, is to also time our shopping habits correctly too. Buying what you need for one or two days in advance is the healthiest way to shop in this sense, as it reduces the time food waits in your fridge too. If we eat organic food, we are normally eating according to the seasons too, whether it’s a conscious decision or not. I’m a big advocate of eating seasonably, generally for its reduced impact on the environment – for example, air freight accounts for 11% of the food industry’s transport emissions, despite making up 0.1% of all food miles. However, there are indeed nutritional benefits from eating seasonal produce too. Fruits, vegetables, nuts, and herbs will be at their best, nurtured and sweetened until they are naturally ripe, rather than being incubated or frozen and then defrosted to be put on the shelves. Many sources agree that seasonal produce tastes better, and I believe this is due to the timespan that produce has gone from seed to being picked – natural sugars do not have as long to turn to starch, maintaining their fresh taste and optimum nutritional content. According to a recent scientific analysis, organic produce really is nutritionally better than produce grown with pesticides in the exact same conditions. By removing a plant’s need to fight against pests, it stops producing as many antioxidants as an organic plant would. And antioxidants play an important part in our diet – while it may sound like sci-fi by saying they fight “free radicals” in the body, beta-carotene, lycopene, and vitamins A, C, E, are all antioxidants. As for the free radicals thing – we’re essentially saying the body will undergo more oxidative stress without antioxidants, giving way to ageing quicker and the development of other health conditions too. On top of that, organic food has substantially lower amounts of toxic metals and chemical residues. While these are still below regulatory level, if you’re basing a substantial proportion of your diet on fresh fruit, vegetables, nuts, and herbs, as I do, you may feel the need to take this into consideration. I think it’s diligent to highlight that there are some exceptions to the rules above, such as frozen produce. It very much depends on the produce in question, but the general freezing process involves blanching and then freezing produce that has been pulled from the ground only hours before, locking in a large proportion of nutrients. On the subject of blanching, it’s also a good idea to note that there are cooking methods which also significantly deplete nutritional content, such as wilting leafy greens or frying mushrooms. As a general rule, make sure you know how its been processed – both before and after its entered the kitchen!